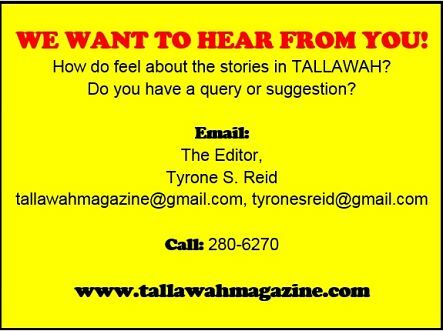 TALLAWAH Magazine: The Best of Jamaican Culture: GRAMMYS 2018: Was Queen Ifrica snubbed by Reggae Grammy voters? GRAMMYS 2018: Was Queen Ifrica snubbed by Reggae Grammy voters? IN HER ELEMENT: Queen Ifrica giving a crowd-pleasing performance at the inaugural Peter Tosh Music Fest in Kingston. IT’S become a tradition. Female reggae artistes don’t have much luck when it comes to getting love from the Recording Academy. Who can forget how Tanya Stephens’ modern classic Rebelution was confoundingly overlooked by voters back in 2006? Marion ‘Lady Saw’ Hall had to team up with No Doubt (“Underneath It All”) to get some recognition at that level. Marcia Griffiths, Diana King, Judy Mowatt (and the list goes on) have never won that most prestigious prize for work in reggae music (the Grammy Award for Best Reggae Album), sparking complaints of a gender bias. The tradition continues with Queen Ifrica’s omission from the recently unveiled list of contenders for the 2018 award. Many industry insiders expected her excellent 2017 CD, Climb, to score a nod, but it’s been side-stepped. Chronixx (Chronology), Damian Marley (Stony Hill), Morgan Heritage (Avrakadabra), J. Boog (Wash House Ting) and Common Kings (Lost in Paradise) did make the final cut, so it’s another all-male showdown. Culture minister Olivia ‘Babsy’ Grange says, Grammy-nominated or not, Queen Ifrica is still a winner in her book. “I issued a statement congratulating all the nominees, and I was particularly excited about Chronixx being nominated. I still believe Queen Ifrica is deserving of a nomination, but in everything you’re going to have someone who is deserving but is not considered,” Grange told TALLAWAH moments after delivering the main address at the launch of the 2018 National Festival Song Competition at @Twentythree (J. Wray & Nephew Corporate Office) in New Kingston on Thursday night. “But I want to encourage her to continue the work,” Grange said. “She writes well, she sings well. Because the day will come when she will be nominated and maybe win the Grammy Award. 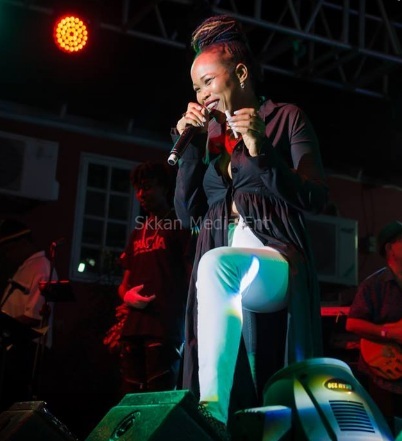 But I think because of the number of nominees she wasn’t included this year.” Queen Ifrica’s previous album releases include Fyah Mumma and the widely acclaimed Montego Bay.